Bernard's publications have been cited over 1500 times. He has a h-index of 22 (as of August 2018). 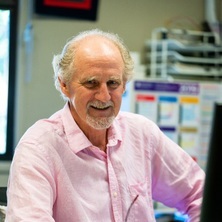 Bernard's major research interst for the past ten years has centred on Wisdom in Leadership and Organisations. From this research he has co-authored Managing Wisdom in the Knowledge Economy. (Routledge), as well as 16 book chapters and 18 journal articles. His most recent contribution was a (in-press) chapter on Wisdom in Leadership in Glück & Sternberg's Cambridge Handbook of Wisdom. Sure, she's a scientist, but can she take neat notes and arrange morning tea? Effects of self-reported wisdom on happiness: not much more than emotional intelligence? Book Review: Darin Barney. The Network Society. Polity Press: Malden MA. Critical discourse studies: Where to from here? Book Review: What's the matter with the internet? The knowledge-based economy: Savant or sage? Phenomena and Epiphenomena: is Pauline Hanson racist?